Henbit Hill has been accepted into the Bloomfield Saturday Market and I'm excited! Come join me and other great vendors for opening day May 19 2018! I'll be rolling out lots of new Tallow Balm products featuring my label re-design that is in process now. I'm working on the labels myself with help from graphic design wizard Leslie Stem. They look super and can't wait to finish up and get them printed. 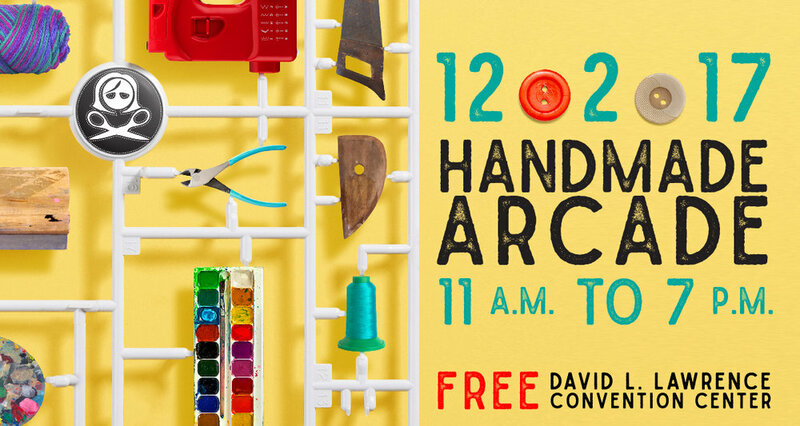 Join Henbit Hill in the "Craft Corridor" section of Handmade Arcade... I'll have Herbal Skin Care and Lip Balms for your winter gift needs! I'll be at the Forest Hills Farmers' Market all summer. Come down and talk plants, pollinators, and herbs with me! SEEDLING LIST: milkweed, early sunflower, showy tick trefoil, yarrow, mountain mint, black eyed susan, lemon mint, strawberry, native grass mix, calendula, stinging nettle, holy basil, sweet basil, parsley, chamomile, comfrey, sweet potato slips and big heirloom tomato plants. ABOUT THE FLEA: The Neighborhood Flea is a vibrant, pop up urban Flea Market located in Pittsburgh's historic Strip District. Discover treasures provided by top-quality vendors offering: vintage & antiques, clothing, repurposed furniture, handmade jewelry & cosmetics, fresh flowers, and reclaimed wooden wares.